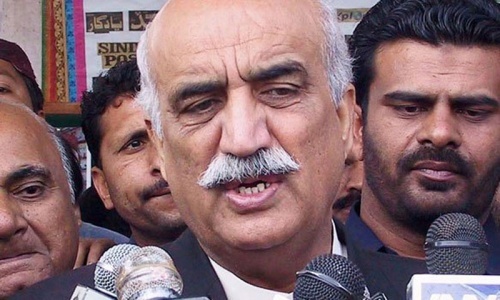 ISLAMABAD: The Pakistan Peoples Party (PPP) on Friday announced its decision to boycott the upcoming presidential election, DawnNews reported. PPP's former Law Minister of Sindh, Ayaz Soomro, informed the Chief Election Commissioner in writing about the party's decision to boycott the presidential election. 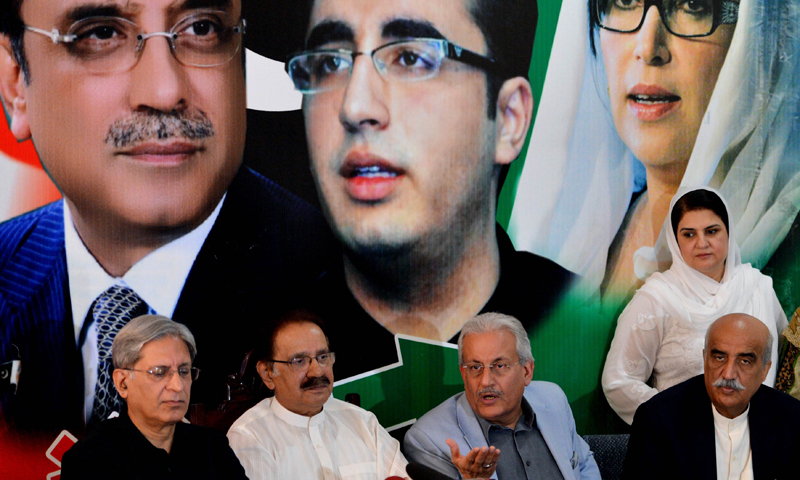 Addressing a press conference in the federal capital city PPP's presidential candidate and senior leader Senator Raza Rabbani said that his party was left with no other option but to boycott the poll. 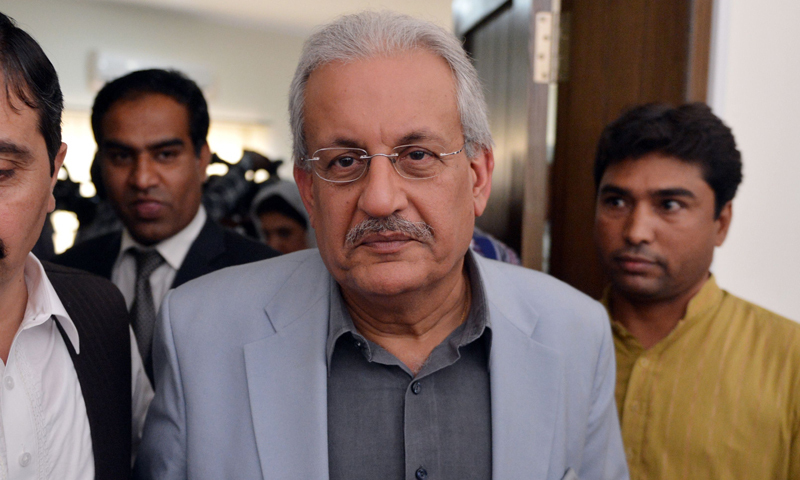 Rabbani thanked other opposition partners for their support and said their favours could never be repaid. The Awami National Party (ANP) and the Balochistan National Party - Awami (BNP-A) also announced a boycott of the presidential poll. Senator Haji Adeel, belonging to the Awami National Party, said that his party had already announced that it would support any decision taken by the PPP. DawnNews reported sources as saying that the Pakistan Muslim League - Quaid (PML-Q) had also decided to boycott the election for president. The main opposition party's decision came as it said that enough time was not given to campaign for the presidential election. The Election Commission of Pakistan had originally announced Aug 6 as the date for the presidential poll. 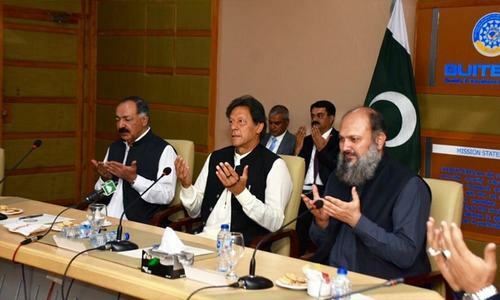 The ruling Pakistan Muslim Legue - Nawaz (PML-N) had then written to the election commission requesting to delay the polls as the announced presidential elections were falling in the last ten days of Ramzaan, when most of the lawmakers were to be busy performing Umrah or sitting in Aitekaf. The ECP rejected the government's request following which the PML-N filed a request in the Supreme Court of Pakistan seeking to hold the presidential elections before the last ten days of Ramazan. 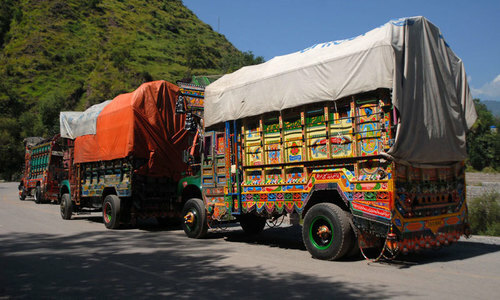 The apex court later decided in favor of the PML-N and agreed to the July 30 sought by the government. Pakistan's largely ceremonial president is not elected by popular vote, but by the lawmakers in the Senate, National Assembly and the assemblies of the four provinces. 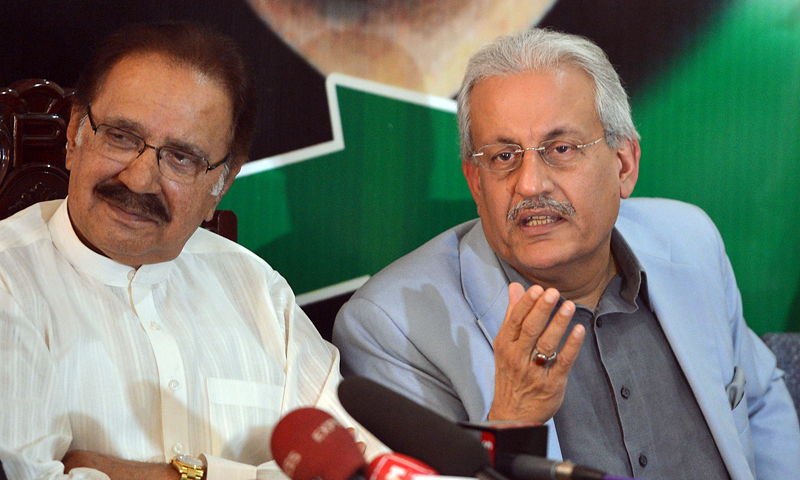 The PPP had fielded Raza Rabbani as it presidential candidate whereas the PML-N is contesting Mamnoon Hussain. The Pakistan Tehrik-i-Insaf has nominated Justice (retd) Wajihuddin and its party chief Imran Khan announced on Friday evening that the PTI, after holding consultations, had decided not boycott the presidential election. Chief of the Awami Muslim League (AML), Shiekh Rasheed Ahmed, said that his party would also boycott the polling for the post president. As usual, PPPP is making this non issue, an issue. Please note character of 3 people sitting beside presidential candidate: 1st (R) Rabbani : Do not know how PKR 40million got into his account. 2nd (R) Rabbani : Took a U turn on swiss cases and lost all his earned credibility 3rd (R) Rabbani : Always posed like an intellectual but behaved like an uneducated. Until now, could not understand how his Party lost elections of 11 May!!!!! So PPP and ANP have a reason now to criticize court. But can they honestly tell that they really were in a position to win the Presidential election or they have made the court's decision an excuse as they are clearly on the losing side in corruption cases? It is a misfortune and sorrowful feeling that the apex court of Pakistan has become a party and doing the same as Dogar court allegedly did. Decision made by the PPP and supported by PML (Q), BNM( Awami), and Awami National Party is quite justified. I do not understand why you need time to canvass for an indirect election where the number of votes that could come a candidate's way are a known commodity, give or take a few independents that may be lured by "incentives". A clear case of sour grapes! Supreme court is entertaining requests instead of dealing with matters according to law, this case should never have been taken up by them. When they see they have no chance they boycott, do they really think anybody cares? Seems some sense is started prevailing in PPP. This is a sound political decision. If PML N cannot play by the rules, let them have a president of 2 and 1/2 provincial assemblies, 1/2 national assembly and 1/3 senate. With Rabbani and Aitzaz they have two very credible persons and what they say carries weight. The courts have been partisan. The judiciary needs to learn that independence is just one attribute it needs to be part of a good dispensation the country. The judiciary should be independent, competent, honest and impartial. This is the most logical decision which will definitely expose the bias of judiciary against the PPP and inclination towards PML (N). I hate to find myself in a position where I have to support PPP. PPP was not left with any other choice but to stay away from presidential election. Seems Nawaz Sharif will play Zardari for next five years.with the people of Pakistan.. This can not be a country of Jinnah, rather I would call it a country of joker's. All the players are agitators and looks to me a followers of Gandhi. PPP have already looted the country. They will be SHAMELESS again to participate in the elections. What they will get from boycott? They even don't have horse sense! Their pathetic five years are enough! Immature decision. Should have appealed in Supreme Court. Status of provinces is not going to change. Changing the date for presidential election was on reasonable ground however the concerned authority should have consulted & taken on board before deciding to change the election schedule. The way the election date was changed clearly shows a tilt towards a party which raises many questions about the neutrality of the concerned authority. Pandora's box of misdeeds would open-up and PPP doesn't like it and intend postponing it as long as it can. All are colluded in the game to protect the corrupt. "The main opposition party's decision came as it said that enough time was not given to campaign for the presidential election." The line also links to a more detailed story about the main complaint of PPP. Bias decision's can create more confusion, it clearly indicates our Judiciary is still not independent and its controlled by parties. "The ruling Pakistan Muslim Legue - Nawaz (PML-N) had then written to the election commission requesting to delay the polls as the announced presidential elections were falling in the last ten days of Ramzaan, when most of the lawmakers were to be busy performing Umrah or sitting in Aitekaf." Oh for the Love of God, our lawbreakers busy performing Umrah and Aitekaf. Supreme court favored PML-N. This will continue in the future too as the proper and deserving people are in power now. Good decision by the PPP.The supreme court is clearly biased towards pmln which was reflected in their decision regarding the election date.PPP are using the boycott to protest against the unfair judiciary. PPP decision is correct. The reason PMLN did not interfere during PPP last five years term. According to the agreement, PPP is bound not to interfere PMLN for next five years. This pattern will continue. "Rabbani thanked other opposition partners for their support and said their favours could never be repaid." Really, what have you been doing in the last five years, the only thing PPP did was to keep stuffing their partner's mouths as well as it's own with billions and billions of rupees. These thugs can not do anything positive and have decided to boycott the election in a lost cause. Bravo PPP, you don't fail to disappoint. Very soon Zardari will pack his bag & fly out. Zardari Junior is already out of the countr, PPP is a rudderless ship.. Look at these spent cartridges, who was going to vote for another 5 miserable years. The boycott decision taken by PPP and its allies was absolutely right. Supreme court decision was malafide and one sided. I do not understand the why CJ always give leverage to corrupt Nawaz Sharif and PML N. NATION WANT WHAT IS IN BETWEEN THESE TWO EVILS. 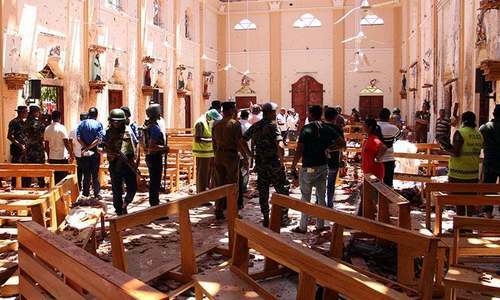 Supposing war breaks out in the holy month of Ramadan,,will the law makers sit at home because of the holy month and Eid celebrations?Why take shelter and confuse people in the name of the holy month. The sky will not fall if the predential election is postpone for aweek or so due to Ramazan.There is no chance for ppp, Anp, BNP or PTI to win the election.The loot by ppp and its friendly opposition was historical, a change from one corrupt and incomptent govt to another and both on on IMF controle..Call it democracy which cannot protect its own people and their property and even the step is not on the agenda.Wether we have a president or not, nothing will change.We always have a boon period when ever the civil govt is replaced by military govt., a bane period when civilian govt take over. he announced presidential elections were falling in the last ten days of Ramzaan, when most of the lawmakers were to be busy performing Umrah or sitting in Aitekaf......you got to be kidding me!!! This will be another move of our beloved AAZ. Sad that today PPP Sheikh Rashid and people like Hamid Gul are of similar views. A game which Nawaz Sharif did not play in five years, PPP has started that game in the first month of PML N stint. PPP, Please do a big favor on all Pakistanis and announce that this Party is being dissolved, and will from now on contest and try to establish government in Somalia. See if you can mess up that country. If you can't win, boycott. I am not a supporter of PPP but suppor their's and the other parties' decision to boycott. Who is the supreme court to make decisions on behalf of the election commission? The courts are only to decide the legality of decisions. The EC made a legal decision that the SC has no business to over turn. But this shows how much the SC oversteps its mandate and interferes with affairs that are not its domain. I feel the reason of boycott by PPP does not hold good because the candidate has not to go to each electoral college member instead it is all party based votes and not an individual's will. All party member cast votes to its candidate whether the candidate approach him or not. PPP and PTI could not reach to an agreement for a joint candidate. Above reasons made PPP to ponder for withdraw as otherwise, defeat of its candidate was written on the wall. @shuaib: Now PPP advocating Raza Rabbani, where were these persons when he has been cornered by Zardari during all of his tenure. I regret this decision. It shows the continued inability of the PPP leadership to understand Pakistan. @Khiyal: You missed the point. The PM has enough voted to elect who they want. This whole scramble is to save face that all because the would end up with just their own votes. The PTI and PML-Q had the courage to nominate and stand by their candidate. So lets play ME NA MANU. 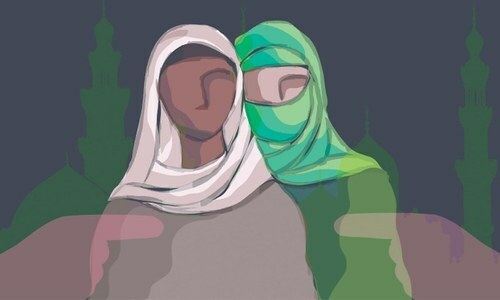 @shuaib: Why it is non issue? Supreme court has done an unconstitutional decision and PPP has right to protest. Remember I have never supported PPP in my life. But wrong is wrong. Where is the president now days? 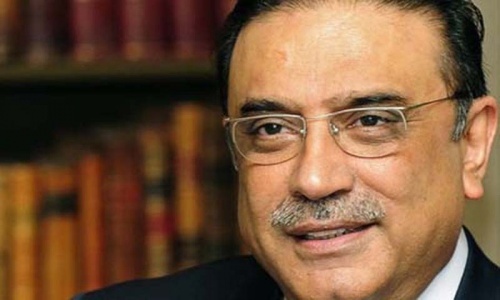 I voted for pppp knowing that they are going to lose but leadership dont want to lose.Probably no leadership left. Poor judgement by the Court results in quite unnecessary controversy. I am disappointed by CEC's attitude. Why does he have to take everything lying down? The bottom line is that PML-N has an absolute majority which allows them to elect the president. So it does not matter what the other parties do. They can jump in the lake for all that matters. I am under the impression that the constitution stipulates BY WHEN the president should be elected. So if any party says they DID NOT KNOW; recall the Nuremberg trials. After nearly 70 years, we are still way behind. So please build this nation, and not your pockets. Many years of mandates are enough for the PPP, ANP and Muslim League Q. They better compensate for their past relative lack of achievement and do something for the good of the nation now. fully agree with Mr.Siddiqi comment below although I don't support any party, why P.P.P.is adopting a senseless confrontational approach? and it's v.likely they would not have won even if election would have happen on it's schedule date,they should try to win back voters by political maturity as masses knows now who is fooling them and they have prove by ousting P.P.P. PPP knew very well that his candidate cannot win.But it was a resiprocating spirit to the attitude shown by PMLN in 2008 election. This reflects that PPP has no leadership to handle the issues on national level. Look at the leader ship of MQM and PMLN which decided to support PMLN candidate. This is called leadership and they are the true National leader. I would say Imran is also immatured in Politics.
" 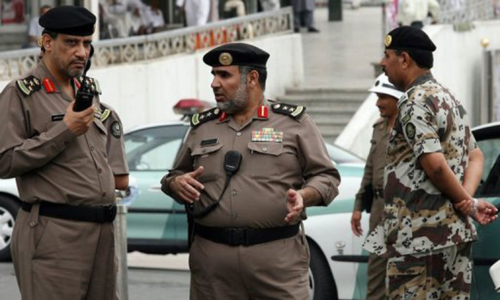 when most of the lawmakers were to be busy performing Umrah or sitting in Aitekaf." I almost choked when I read this. What hypocrites. good move, after five years. A day earlier you file SEVEN nomination papers for the position and next morning you declare a boycott. What jinn baba came in your dreams that scare you so much? A day earlier you file SEVEN nomination papers for the position with a broad smile on your face along with your sycophants and next morning you decide and announce the boycott, Which Jinn Baba scared you in your dreams? @abu: nawaz is also doing the same looting the country will plenty of SUGAR MILLS, 50+ factories and loads of consumer taxes. A bold and a logical decision by the ppp conforming the fact that the SC is ruled by PML-N.PPP could have got enough support from the other parties pti was willing to support rabbani but the best decision was to throw the hypocrisy of SC at its face. The final transfer of presidential power from one elected government to another had to be made unpleasant and controversial by both parties -- the PML (N) and PPP. What transpired the PML (N) to take the ECP, an independent institution to the court for a date change -- the old dictatorial bug of PML (N) against the CJ Sajjad SC -- has again bitten the PML (N) vs the Fakhruddin ECP? What difference 7 days would have made for the formality of a forgone conclusion -- that the PPP had to poison the presidential soup at the last moment?